Since 1989, ENA has recognized the second Wednesday in October as Emergency Nurses Day, honoring emergency nurses for their commitment to patient care. 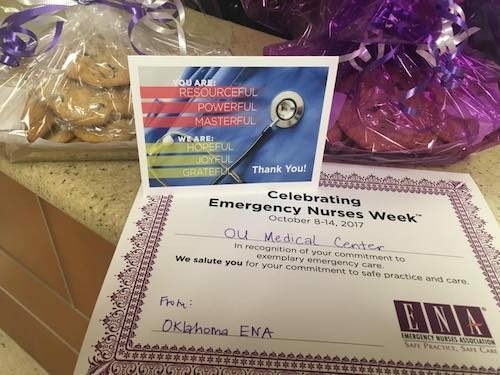 Starting in 2001, ENA expanded the celebration to devote an entire week to honoring emergency nurses, because one day is simply not enough to recognize all their contributions. ENA encourages supporting emergency nursing throughout the week on social media using #ENWeek. The Emergency Nurses Week 2018 Planning Guide provides ideas and information on additional ways to celebrate each day of the week.